Updated Nov. 27, 2017, 3:30 a.m. PT: We’ve been cautiously optimistic that this news was true, but now, we can safely say it is: Prince Harry is confirmed to be engaged to Meghan Markle. Finally! The news was confirmed on Monday morning local time by Clarence House, which released an official statement about the royal engagement and when the couple will be married. “His Royal Highness The Prince of Wales is delighted to announce the engagement of Prince Harry to Ms. Meghan Markle. The wedding will take place in spring 2018. Further details about the wedding day will be announced in due course. His Royal Highness and Ms Markle became engaged in London earlier this month. Prince Harry has informed Her Majesty The Queen and other close members of his family. 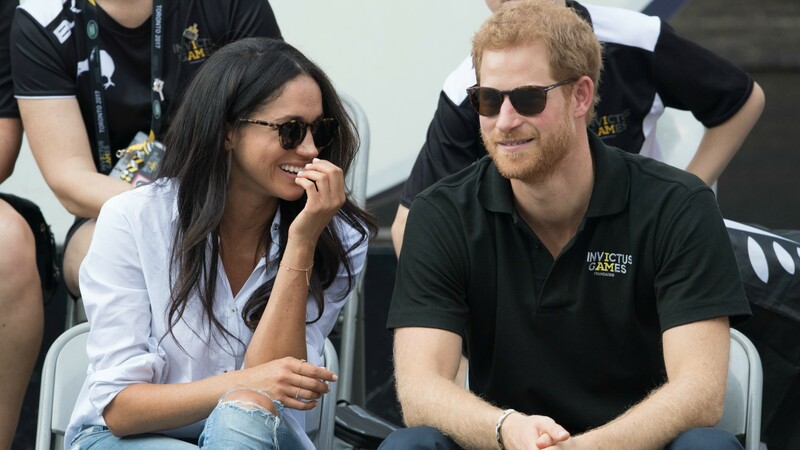 Prince Harry has also sought and received the blessing of Ms. Markle’s parents,” the Twitter announcement read. The statement also confirmed that Harry and Markle will live in Nottingham Cottage on the Kensington Palace grounds during their engagement. Updated Nov. 24, 2017, 11:30 a.m. PT: It finally happened. Buckingham Palace has released an official statement on all the engagement rumors that have been heating up about Prince Harry and his longtime girlfriend, Meghan Markle. But don’t get too excited, fam. The official stance of the palace is that it “would not give a running commentary on Harry’s love life” according to Elle. Seriously? Why bother giving a statement at all? Unless, of course, they’re just trying to build up hype since experts think the announcement is coming pretty much any minute. Some say it’ll be a Christmas announcement, while others are expecting it first thing in 2018 to kick off the new year. Either way, word is Markle just moved in with Harry full time at Kensington Palace, and pretty much everyone with any knowledge of the royal family says this engagement announcement is imminent. So, yep, any day now, you two. OK, we’re going to need Prince Harry and Meghan Markle to just go ahead and announce their engagement already. Everyone knows it’s coming. Heck, we’ve confidently suspected it for, like, a year. Now that Markle has finished filming her last ever episodes of Suits, this is obviously what’s next, so why hasn’t he proposed yet? According to insiders, Harry already has proposed. It’s just that he and his betrothed aren’t telling anyone yet. In the latest issue of Us Weekly, an insider reveals that even though they haven’t made their official engagement announcement, Harry and Markle have already set a date for their wedding. “It will definitely be a summer wedding,” the insider said, adding that Harry designed a ring for Markle using diamonds from a broach that belonged to his mother, Princess Diana. And apparently, even though they’re not formally engaged as far as the public is concerned, Markle is moving into Harry’s place at Kensington Palace pretty much now. Bring on the next royal wedding already, fam. We’re getting impatient.